The federal Centers for Disease Control and Prevention has provided a rare glimmer of good news about the nation’s epidemic of powerful painkiller abuse, finding that the peak of doctors’ opioid drug prescribing appears to have occurred in 2010 and has dropped sharply since. Still, doctors are dispensing more of the oft-lethal medications per capita to patients in Maine, Nevada and Tennessee, while significantly less so in most of Iowa, Minnesota and Texas. Although officials expressed guarded optimism about an overall 41 percent decline in opioid prescribing from the 2010 peak, they said doctors still are ordering far too many painkillers for Americans, with the potent drugs not needed and hiking the risks of abuse, addiction, and lethal overdose. Some states, like Ohio, have cracked down on opioid prescribing, for example by requiring doctors to check patients against user databases before prescribing specific, powerful medications. The CDC and other federal regulators have urged doctors to slash their writing of scripts for the drugs, especially for large groups of patients like those served by the Veterans Administration. It’s unclear how much those curbs are cutting opioid prescribing and abuse, because the CDC study doesn’t report data past 2015. In my practice, I see the harms that patients suffer while seeking medical services and the huge damage that is wreaked on them by dangerous drugs. It’s good to know that doctors may have started to reduce their over-prescription of potent painkillers. But they, hospitals, and Big Pharma have a long way to go in working to reverse the opioid drug abuse epidemic that is killing tens of thousands of Americans each year. 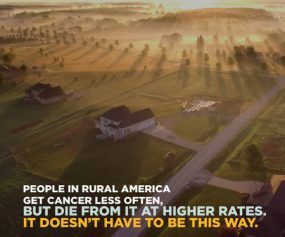 The CDC also has found that death rates from cancer are falling nationwide but less quickly in rural as opposed to urban areas. Outside of cities, Americans experience higher rates of new cancers. They also show higher death rates from the disease related to tobacco use, such as from lung and laryngeal cancers, and from forms, such as colorectal and cervical cancers, that can be treated better now if detected earlier through screening. The CDC and other public health agencies are studying rural-urban and other geographic health disparities, finding earlier, for example, that rural Americans are more likely to die from heart disease, cancer and the three other leading causes of death than their city-dwelling peers. About 15 percent of the U.S. population lives in rural areas. These 46 million people tend to be older, poorer and sicker than urban Americans, with higher rates of cigarette smoking, high blood pressure and obesity and with lower rates of physical activity. They also don’t use seat belts as often. They typically have less access to health care and are less likely to have health insurance. Advocates have expressed concern that rural Americans also will be among the groups most harmed by changes proposed by congressional Republicans eager to repeal and replace the Affordable Care Act, aka Obamacare, and to slash Medicaid, a program that benefits the poor, chronically ill, disabled, and aged. Millions of rural residents have benefited from ACA coverage and care—especially under Medicaid—and this all may be imperiled by an Obamacare repeal and replacement. In my practice, I see the harms that patients suffer while seeking medical services and the many and different kinds of disparities that they struggle with in accessing medical care. We need to keep up the fight to ensure that all Americans get excellent, safe, affordable, and convenient health care. Can bicyclists lose some benefits of rides depending on route, exertion, air pollution? 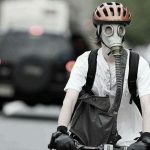 While biking may be a boon to city residents’ pocketbooks and well-being, can its health benefits be lessened or even wiped out by the air pollution that riders inhale as they take different kinds of routes within a metropolis and exert themselves in varying fashion? 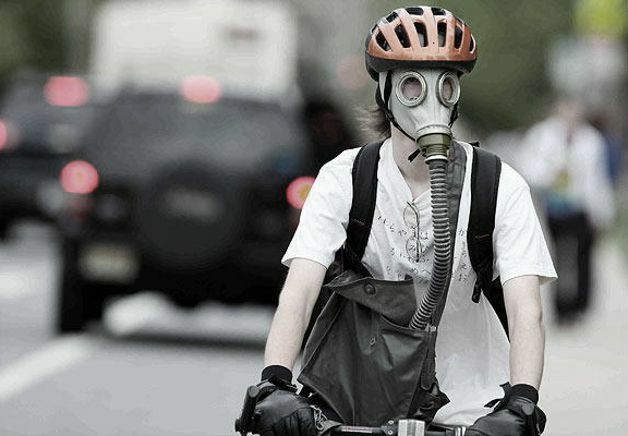 Researchers in Manhattan for five years now have worked with athletic, mostly young and male volunteers, to learn more about pollution’s harms to cyclists who commute around New York on its bustling streets. Volunteers, they have found, may spend as little as 6 to 8 percent of their day on their wheels but in doing so they are taking in half their daily dose of air pollution. Certain spots, unsurprisingly, also have worse air, especially for riders. Measurable pollution is higher near gridlocked bridges and tunnels, on morning rather than evening streets due to late day breezes, and when cyclists ride closest to cars—say, in actual traffic lanes, as opposed to specially designated paths or pathways separated from vehicles by parked cars and trucks. Riders who race to their destinations or find thrills in their road speed also may increase their pollution risks and harms because their exertion causes them to breathe harder and deeper, drawing damaging particulates and pollutants into their lungs and bodies. Researchers say, based on five years of study and comparisons of evidence gathered in Barcelona, London, and New Delhi, that Manhattan riders—and probably those in Washington, too, by extrapolation—benefit more than they may be harmed by cycling. Still, they should consider the accumulating data in deciding when, where, and how to ride, as well as considering if they might wish to increase their intake of antioxidants through fruits and vegetables to offset potential pollution damages. 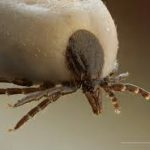 Pet owners, hikers, and other outdoor enthusiasts may wish to take note: Public health experts warn that ticks are posing more than their usual problems this summer, as the Northeast and East suffer through a cyclical upswing in populations of the pesky insects. Although convention wisdom ties tick infestations to deer, it may be field mice and their feasting on abundances of acorns that make select seasons worse for not only the bugs’ bites but more importantly the infections they can spread. The CDC has a full online page of various tick-borne illnesses—many treatable with antibiotics and all worth avoiding with well-known means. Those heading for the outdoors may wish to keep themselves protected with appropriate clothing and spray themselves with insect repellents with DEET. They may wish to ensure their pets are protected, too. 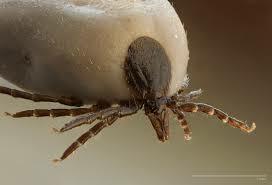 When returning indoors, they should carefully inspect themselves head to toe for lurking, clinging ticks. If found, the bugs should be removed with care so as to not separate their head and mouth parts and to get them off and in whole. It may be worth showering and changing clothes as a precaution. Homeowners may wish to trim grass and shrubs aggressively to create a barrier area against ticks and the deer and vermin that may carry them. As long as they’re taking care of outdoor chores, homeowners also may wish to scour their property for pots, vessels, earth depressions, and other spots that might catch water and provide skeeter breeding grounds. Many of the same repellent precautions that reduce tick woes also can help prevent mosquitoes from flourishing and spreading infections, including West Nile, dengue fever, encephalitis, yellow fever, Chikungunya, and Zika.